Probably one of the hardest skills of the standard algorithm for long division is deciding which number to use for "how many times ____ goes into ____." 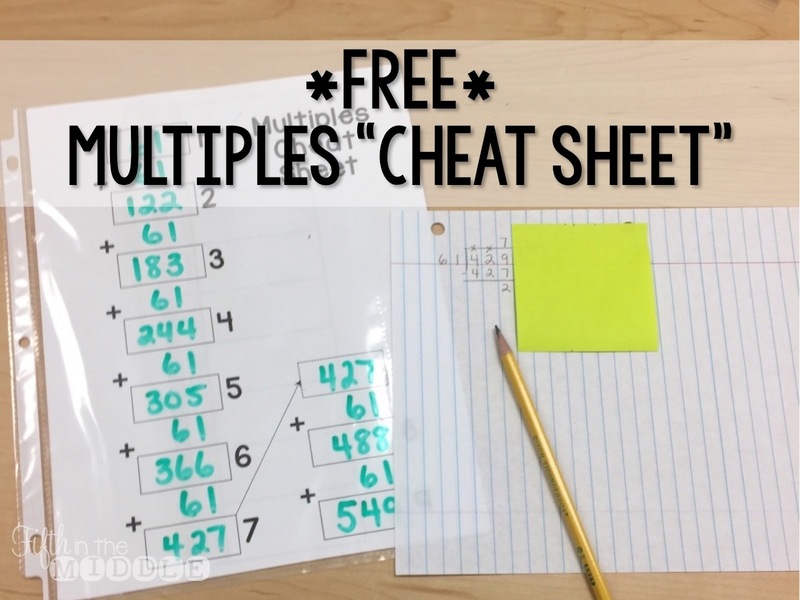 One way to help students experience immediate success with long division is to help them come up with the multiples of the divisor. So in the example above (4297 ÷ 61), we start out by noticing that 61 won't divide 4 or 42 (when using whole numbers, obviously). We do know that it is enough to make groups of 61, but many of my students don't have a clue about what to do next. 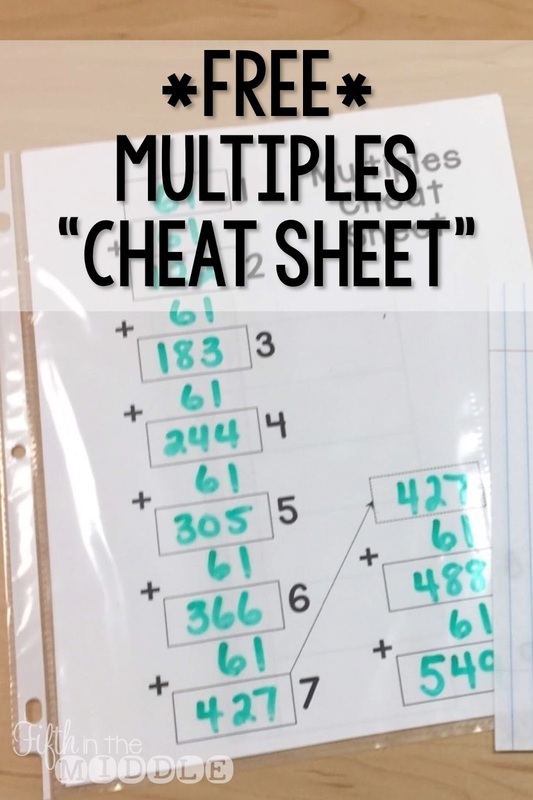 We talk about compatible numbers and estimating and all those strategies, but there are students who still don't quite understand how to come up with that number. 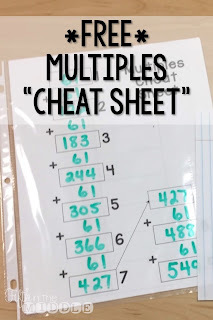 So another strategy that we use is to figure out multiples of 61 until we go over 429. They have these "cheat sheets" in page protectors so they can use them with dry erase markers. 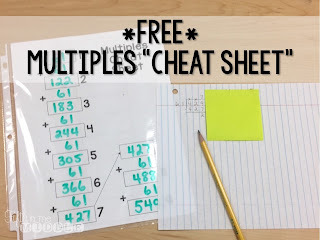 For students who really struggle, we write the multiples together so that we are all working with the same numbers and there are no addition mistakes. You can download your copy for free by clicking the image above. If you would like access to my entire Google Drive of free resources, enter your information below!